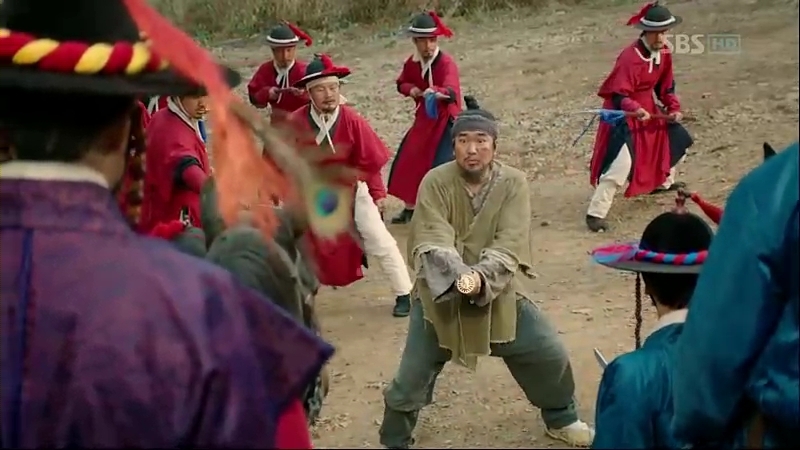 Hands down, I’m totally owned by King Sejong in this episode. I don’t know how many times I replayed this episode only to watch this scene. I can’t even begin describing the scene, and Han Suk-Kyu is an amazing actor to be able to portray such a powerful king like him. He totally deserved the title ‘The Great’ and his thoughts for his people to make him create a language just for them was downright awesome. Another reason I love this episode and particularly this scene is because Sejong looks so handsome standing in front of the drawers. He looks like he comes straight from a documentary. Sejong leaves but still in his deep thoughts, like Chae-Yoon. So-Yi reminisces what Chae-Yoon asked her earlier, and that sends her into her memories of her mistakes towards Ddol-Bok. She clutches the pouch and promises to redeem her mistakes towards him. Unable to hold his curiosity, Moo-Hyul asks why Sejong said that to his potential killer, just like he’s unaware of his real intention. Instead of answering his question, Sejong hands Moo-Hyul the investigation records about Mil-Bon and orders it to be given to Chae-Yoon. 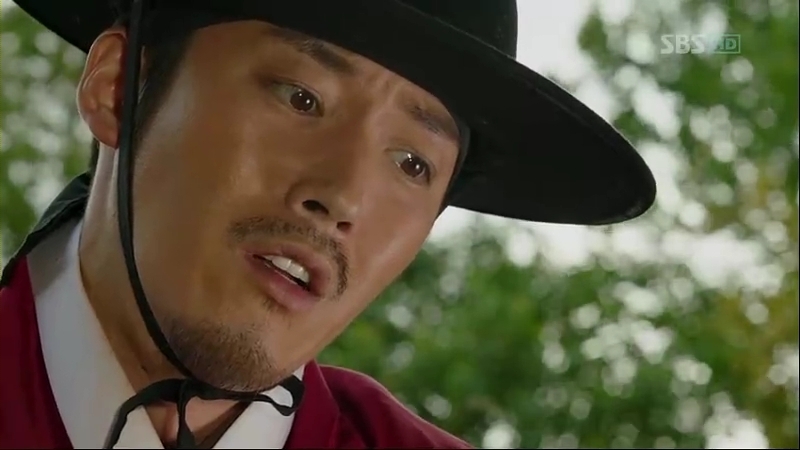 He decides to pass over the investigation on Mil-Bon to Chae-Yoon, which sends Moo-Hyul into bewilderment. Sejong also asks for Minister Jeong to call Paeng-Nyeon and Sam-Moon to meet him. The two young scholars are busy discussing about the clue Sam-Moon got from Chae-Yoon. Sam-Moon is pretty immersed in his effort and points out the fact about the prints at the printing office, which was burned down before this. The prints and print blocks in the office are all known by him, except for a sack full of print blocks, which combinations are probably used for a new unknown book. Moo-Hyul and Minister Jeong are not going to let go of their thoughts about Sejong’s sudden change in behavior, and Moo-Hyul recalls another time when Sejong suddenly changed his mind like that: it was the night he first met Ddol-Bok. Sam-Moon suddenly gets an idea on how the clue might work after staring at the characters from the print blocks. Minister Jeong, who’s on his way to fetch the two scholars, overhears them talking about the “Goon Na Mi Yok” clue, and that sends him running towards Sejong and reports what he heard. The clue might be some king of tongue twister, according to Sam-Moon. Paeng-Nyeon is not too pleased with the way the characters make his tongue twisted, and Sejong appears at the printing office, confirming what Sam-Moon said is correct. They are eager to know what is going on, with all the scholars dying and their curiosity about what Sejong is doing is increasing. Sejong tells them to follow him. They are brought to the room where the magic squares were once located. Despite the court ladies and Minister Jeong’s reluctance to give away what they are doing, Sejong opens the door and shows them the room. 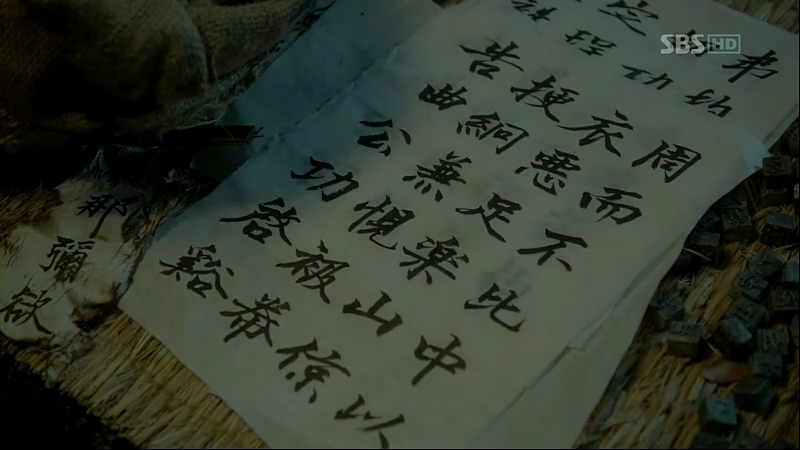 A curtain is pulled down, and five drawers marked with the characters “Goon, Na, Mi, Yok, Sul” are revealed before Sam-Moon and Paeng-Nyeon’s surprised eyes. Sejong tells then to look at the contents of each of the drawers: some drawings of objects with common sounds at the beginning. Each drawer contains different kind of sounds, and that just makes the young scholars more curious about the reason behind it. Sejong then reveals the answer and what he is working on all this time: their own sounds. He shows them the rest of the drawers, and shows them his intention to create their own language with their own sound. Paeng-Nyeon is taken aback by surprise, while Sam-Moon waste no more time and dashes towards the drawers before rummaging through them. Chae-Yoon is trying to burn his murder investigation report but he hesitates. 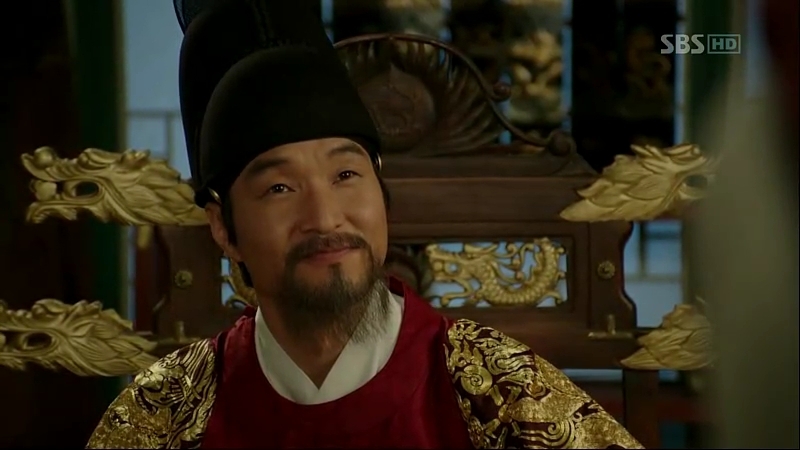 Suddenly, Moo-Hyul appears and asks Chae-Yoon to follow him. Back in the room, Sam-Moon expresses his thought about Sejong’s idea to create the alphabets, recalling how some language systems have perished just like that. He asks why a king like him should try to defy the history, and Sejong’s answer is easy: he wants both of them to verify his thinking on it. He says they are already near the completion of the alphabet, and he wishes for them to personally test the alphabets: whether the alphabets could really do that or not. He gives his promise to dismiss the project if they say it would be a failure, and the alphabets would never be revealed to the public at any rate. He emphasizes that if it would defy the history and the alphabets would be no help at all to his people, he will dismiss all the alphabets. Taking their hands into his own, he earnestly pleads the scholars to put all their efforts into judging and verifying the system. Chae-Yoon follows Moo-Hyul to a room, where Moo-Hyul gives him the records about Jeong Ki-Joon’s movements before he disappeared twenty years ago. He’s surprised when he’s told about the name of the secret organization behind the murders: Mil-Bon (Hidden Root). He goes out and arrives at a place and starts digging the earth under a tree there. He finds the things that he is looking for: a sack that he buried there before he went to the North, twenty years ago. The Mil-Bon letter is still there, untouched. He recalls the night he escaped from Banchon and realizes that the person who took his father’s will and the murderer are behind the same organization. He also recalls that Do Dam-Daek was also at the shrine when the palace guards entered the place. 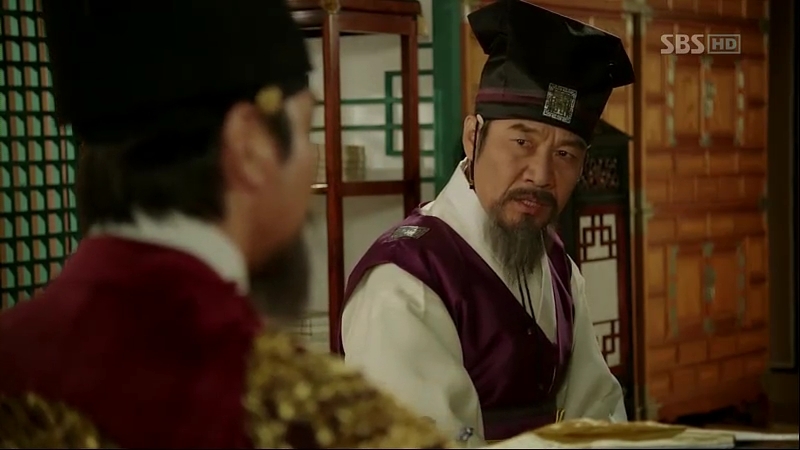 The ministers are deeply engrossed in their discussion about Sejong’s recent activities, and Scholar Shim accuses Sejong’s action of allowing a book like Bi Ba Sa Ron to be brought into the palace as an anti-Confucianism act. Minister Jo isn’t going to hide his suspicion anymore, and asks Scholar Shim the reason why he’s so interested in the murders and even went to meet Scholar Hye Gang, who was widely known as a member of Mil-Bon. 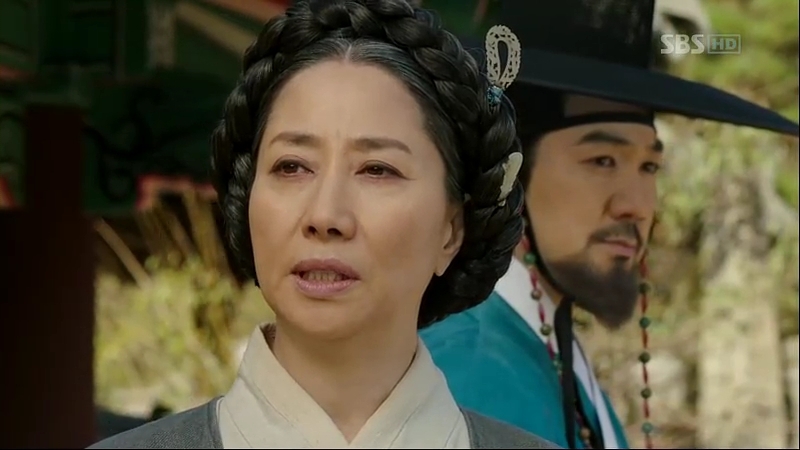 Scholar Shim slashes Minister Jo’s thought about him being a Root, and begins talking about how people were in hard times and even died when they went against Taejong. 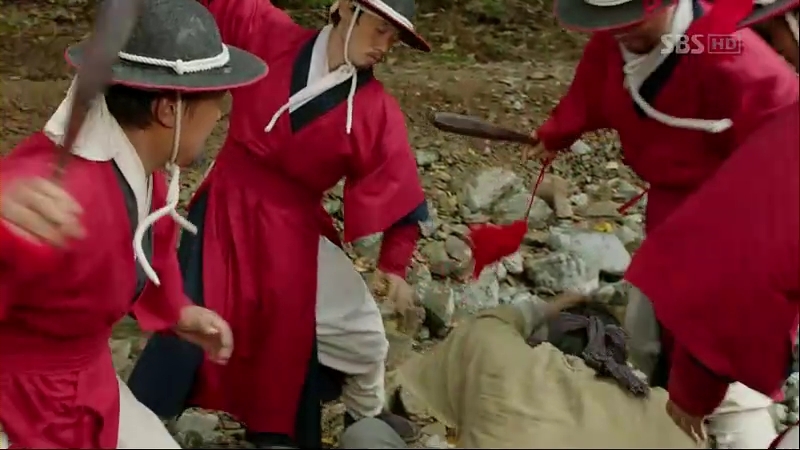 Now, the scholars are dying, one by one, without even knowing what Sejong is doing. Scholar Choi agrees on his stand as the murders are happening without a solid reason. Prime Minister asks Minister Lee if he knows anything about it, but he doesn’t. The ministers are left speechless, while they are being watched by Moo-Hyul’s assistant. He then reports it to Sejong, who in returns asks him to stop tailing the officials and watching their every movement. 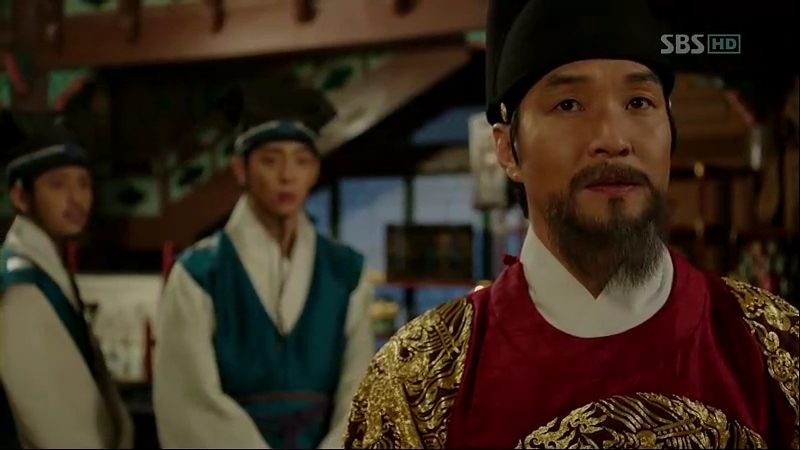 Minister Lee returns to his home together with Minister Jang, only to be informed by his servants about Nam Sa-Chul’s visit to his house before that. 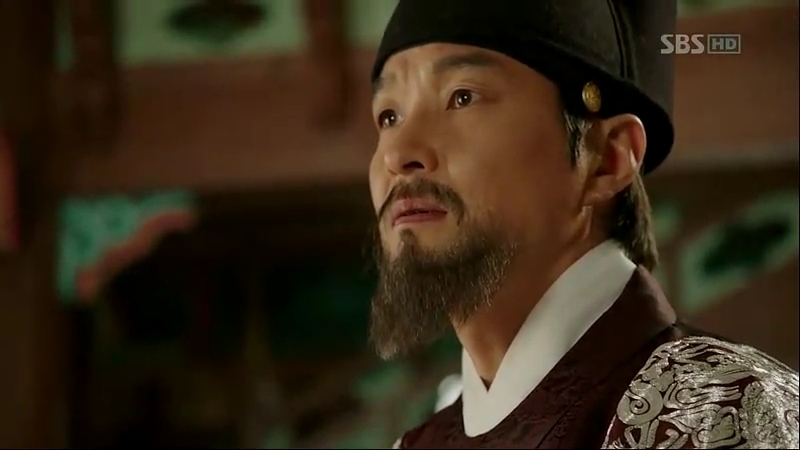 He decides to go to Taeppyeonggwan, where the Ming Dynasty’s Embassy is. He meets an officer from Ming, Ki Je-Yeon. Minister Lee tries to get any information about Sejong’s activities, but the officer too doesn’t know anything about it. However, he knows about some people under Sejong’s command who have been collecting Buddhist scripts and musical instruments from Ming Dynasty. He assures Minister Lee and Minister Jang that he’ll inform them once he gets any information about it. They are about to leave when Officer Ki asks them about Shim Jong-Su as he’s suspicious about his ability to meet Scholar Hye Gang personally, while the latter is known for his reluctance to meet any government officials in private. This piques Minister Lee’s curiosity, and he’s even intrigued after knowing about Scholar Shim’s secret outings to Banchon every night. Minister Jang is worried about the fact Minister Lee was once a Root would be revealed, but he assures him that he’ll find Jeong Ki-Joon before he’s found out. 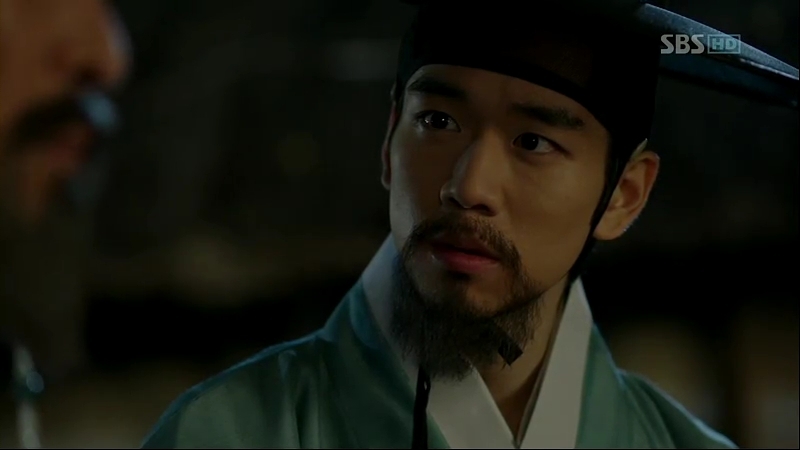 The calm Sejong hears out Moo-Hyul’s complaint about his decision to tell Chae-Yoon about Mil-Bon, thus giving him the power to investigate the case officially. Sejong smiles and adding his recent decision of telling Sam-Moon and Paeng-Nyeon about his mission, those are not the only bizarre decisions he’s going to do from now on. 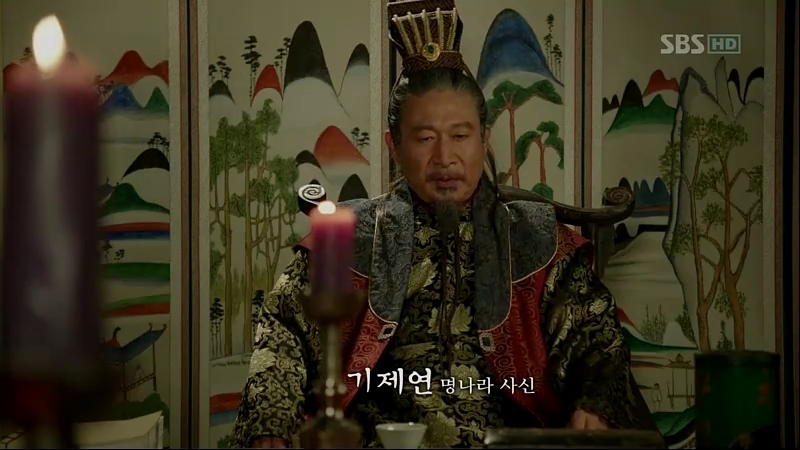 So-Yi answers his question about the next step, and this sends Moo-Hyul and Minister Jeong into a session of bombarding questions towards him, asking about the relevance of the secret step and Sejong’s high confidence towards Ga Ri-On. 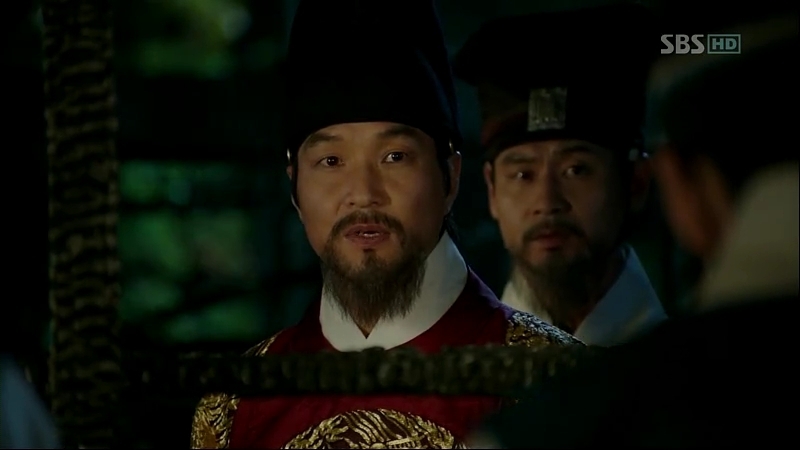 Sejong then orders So-Yi to go to Banchon. It’ already midnight, but after remembering about the tattoo that Scholar Shim said, Minister Jo changes his destination from Banchon to the autopsy room. 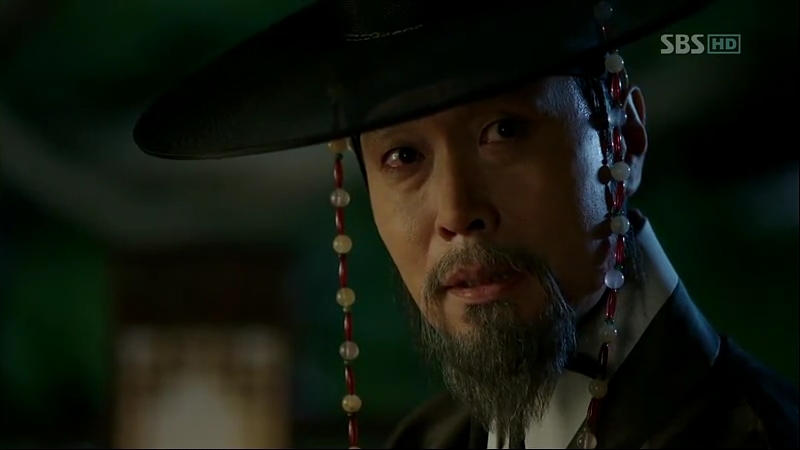 Chae-Yoon has arrived at the shrine and confirms that it is the same place he went on his way to escape from Banchon. 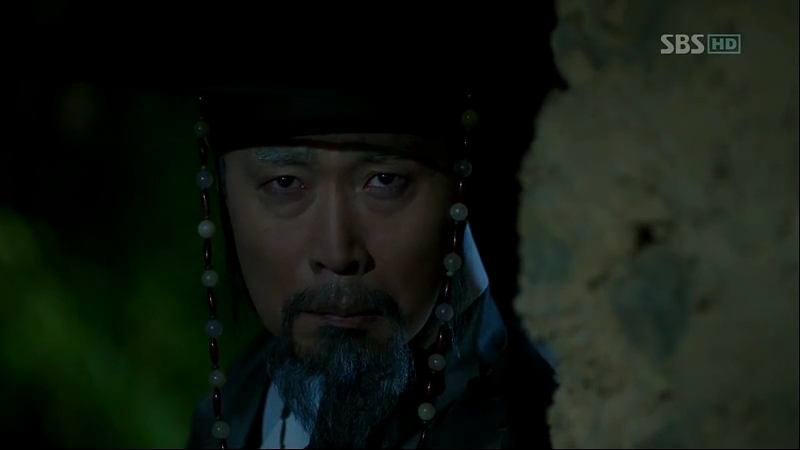 Suddenly, Do Dam-Daek comes inside the shrine and tells her assistant to watch out as someone is coming. Chae-Yoon hides while anticipating the guest’s arrival. 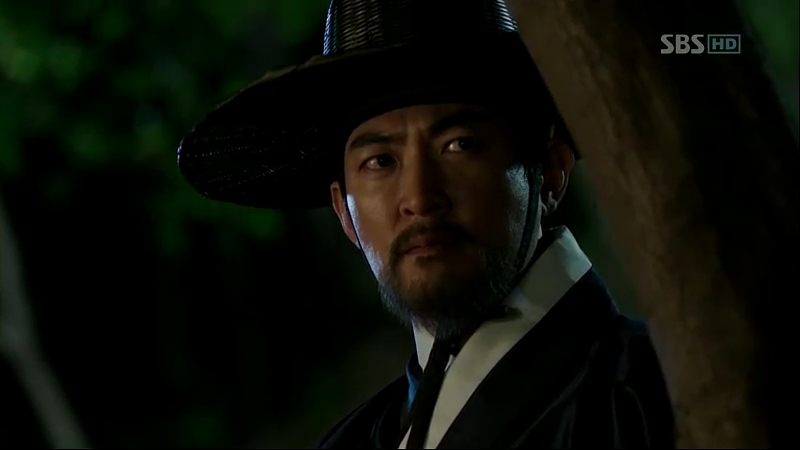 Scholar Shim is on his way to the shrine when he realizes someone is following him. He doesn’t waste his time and attacks the person following him. They involves in a short fight, and stops. Admitting it’s a mistake, thinking that he’s a dangerous person, the woman following him introduces herself as Kyun Jeok-Hee, a translator at Taeppyeonggwan. Scholar Shim doesn’t buy her explanation and knows that the woman isn’t a normal translator, given her sword skills. 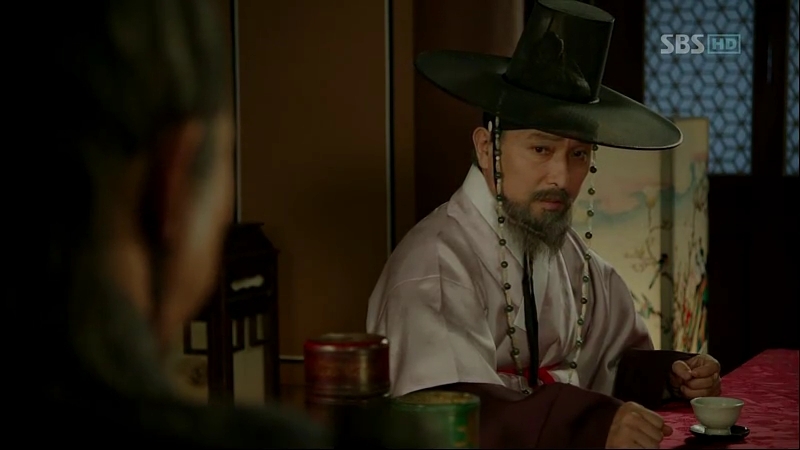 The woman, Jeok-Hee, is also in doubt about Scholar Shim’s real identity, as scholars usually don’t have excellent martial arts skills like him. 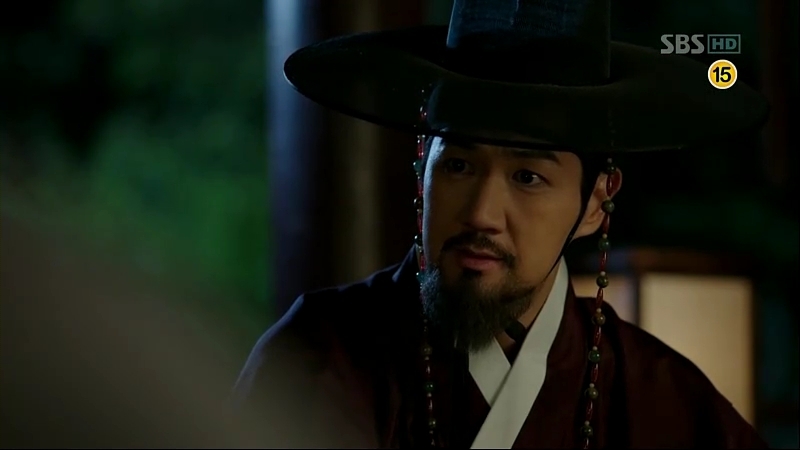 Scholar Shim decides to cancel his trip to the shrine, and Dam-Daek is quite worried to know about Ming people’s involvement in this matter. She orders her assistant to ensure nothing is going to happen to Scholar Hye Gang when he comes to the city. Chae-Yoon decides to move nearer to the shrine, but he attracts the attention of Dam-Daek and his assistant, thinking that he’s Yoon Pyeong. He escapes from them, but not from the eagle-eyed Minister Jo who also happens to be there. Scholar Choi is surprised about Scholar Nam sudden illness but it turns out he has been threatened by someone. 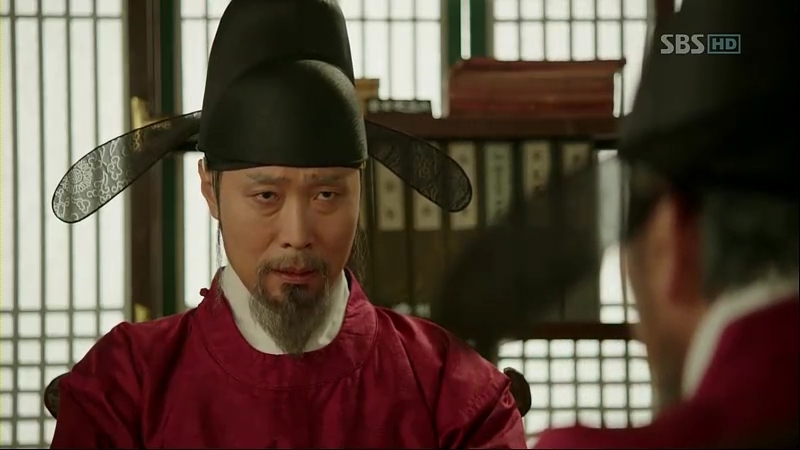 He then brings the knife and the threatening letter to Sejong and asks him directly, what were the tasks that he gave to the dead scholars that made them the targets of the sudden murders. 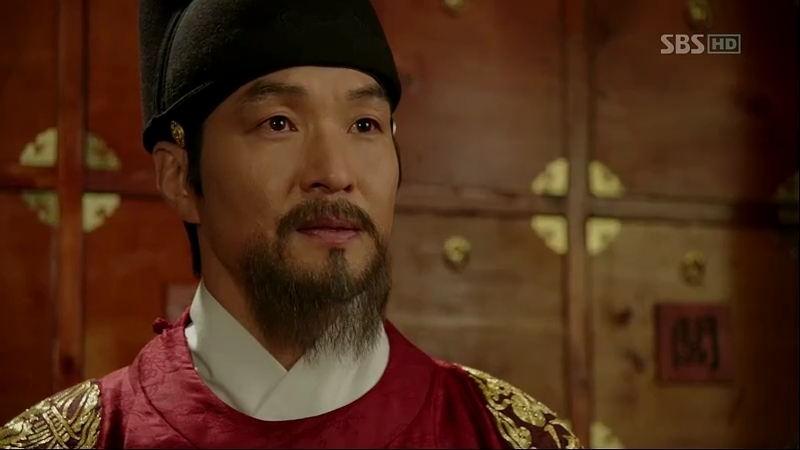 He decides not to allow the scholars to do the studies ordered by Sejong, unless he’s told the truth. Chae-Yoon decides to live in Banchon, but his sudden decision makes Park Po wonders how he’s able to live with such lowly slaves, but Park Po remembers how Chae-Yoon hates to hear about low lives. 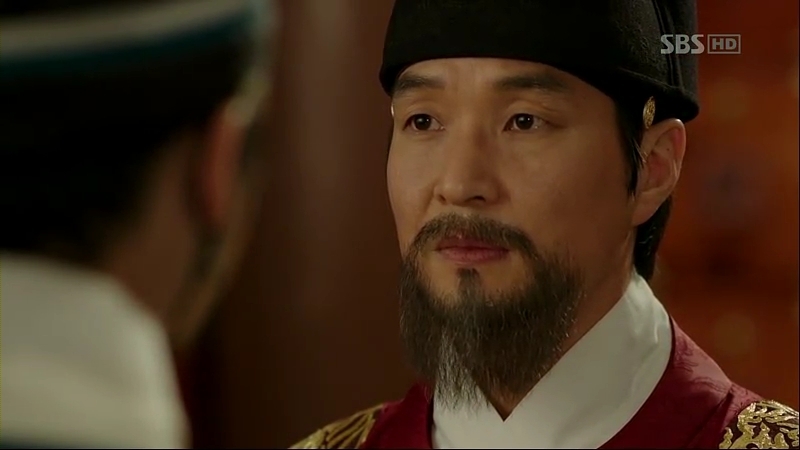 Chae-Yoon doesn’t give too much thought on his words as his thoughts are fixated around Dam-Daek and his assistant. He greets them, but Dam-Daek’s assistant is not that happy to see a palace guard around. He also thinks Chae-Yoon’s face is quite familiar. They arrive at the tavern, where the owner is busy preparing Chae-Yoon’s room. A man comes, promoting the rooms at the tavern which are claimed to bring luck to people. The man tries to collect some interests from the owner but fails. 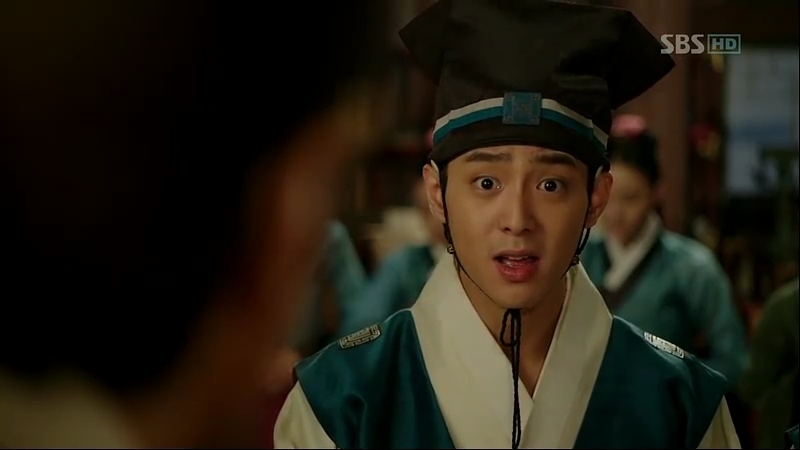 Park Po introduces him as ‘Scholar-To-Be Han’ as he failed the royal examination before. Park Po also introduces another man who can make any kind of sounds in the world. 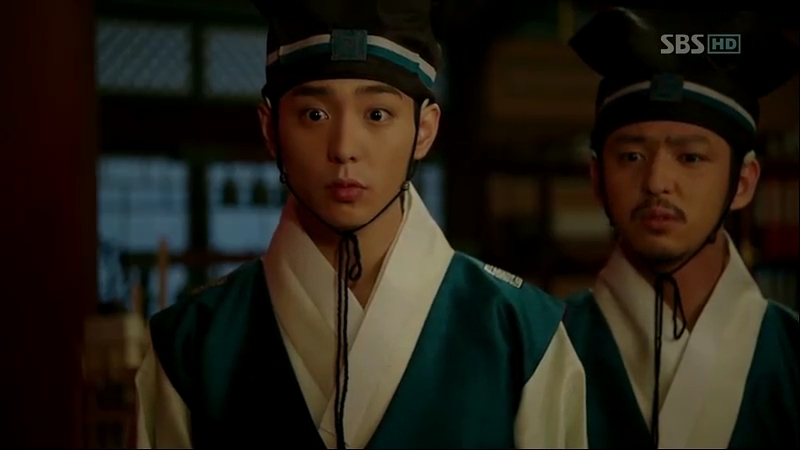 Chae-Yoon is surprised to know even the king has met the man personally. He and Park Po walk around the village and meet a shabby man whose origin is unknown, even to the well-informed Park Po. 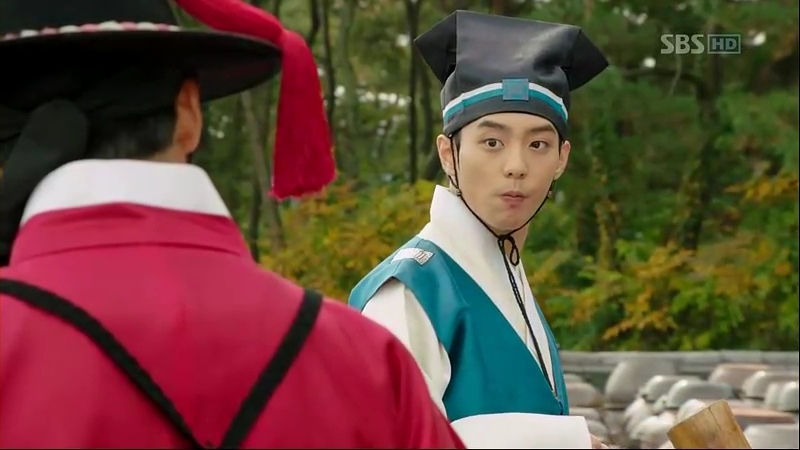 Scholar Shim enters Banchon from Sungkyunkwan and meets Dam-Daek in front of the university’s door. The threat to Scholar Nam wasn’t from their side and he’s wary about the fact that there’s something that they don’t know about. He wishes to see Jeong Ki-Joon himself, but Dam-Daek tells him to wait for his order. He doesn’t like Dam-Daek’s arrogance towards him but keeps it to himself. Someone is secretly taking a sip of drink from the storage place and it’s Sam-Moon, who’s in deep thought about Sejong’s idea of alphabets and their own language that is deviating from Confucianism. He is then approached by Chae-Yoon. Sam-Moon tells him he’s not solving the clue as he’s not involved in it. He decides not to meddle in the matter because he’s not the one dying. 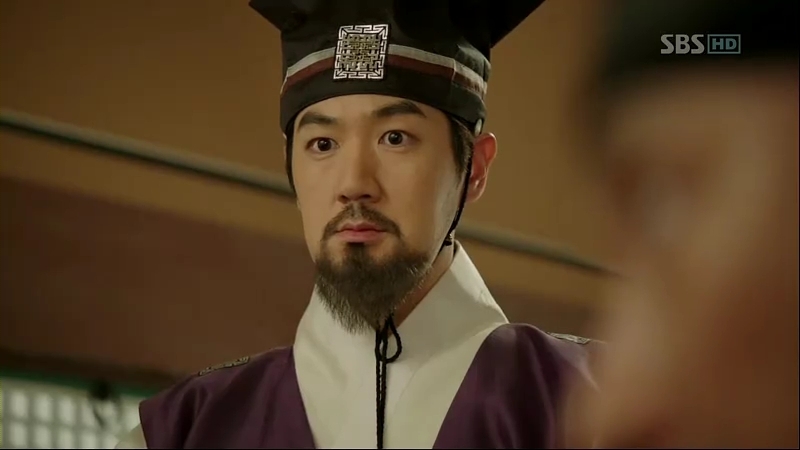 He gives back the clue and leaves, but Chae-Yoon is annoyed at the scholar’s sudden withdrawal from their promise. Scholar Nam’s case is known even to the ministers, and it is decided to be investigated by Royal Division under Minister Lee. While exchanging glances with Scholar Shim, Minister Lee is pleased to be leading the investigation. However, Minister Jo wishes to be included in the investigation team as the case is related to Mil-Bon and he’s the one with more knowledge about it. Scholar Shim and Minister Lee are uneasy about this, but Minister Jo assumes he’s already in the team and leaves with the proofs in hand. 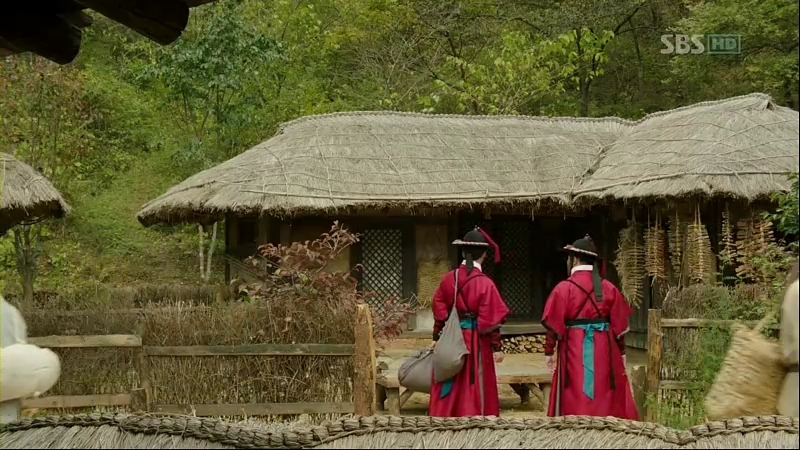 Chae-Yoon goes to visit Cho-Tak, who is getting ready to follow him to Banchon. He tries to make him rest, but he doesn’t want to as he knows Chae-Yoon is planning something. 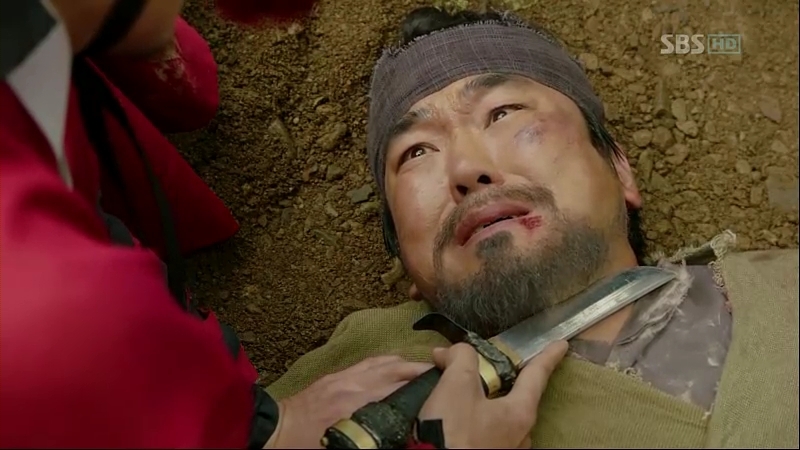 Cho-Tak wants to repay his deed of saving him while avenging Yoon Pyeong for hurting him. Officer Jeong comes to inform them about the recent threatening case that has gone to the Royal Division. Chae-Yoon quickly goes to meet Park Po. He asks him about the people he knows inside the division and whether he could get some information about the case. Park Po hesitates at first, but his eyes shines when Chae-Yoon promises to reward him. The shivering Scholar Nam is being interrogated by Minister Jo about the incident on the night before. Seeing his trembling body, Minister Jo assures him that he’s going to catch the guilty man, not him. And Scholar Nam tells him everything. Minister Jo is back in his room, thinking about Scholar Nam’s attacker. He looks at the knife left by the attacker and something clicks in his mind. He asks for some vinegar. In front of their new room, or rather, a new house, Chae-Yoon explains to Cho-Tak about the reason he chooses to live in Banchon. He wants to keep an eye on Dam-Daek, who’s one of the suspects in his eyes. His attention is diverted when he realizes someone has been there inside their house. 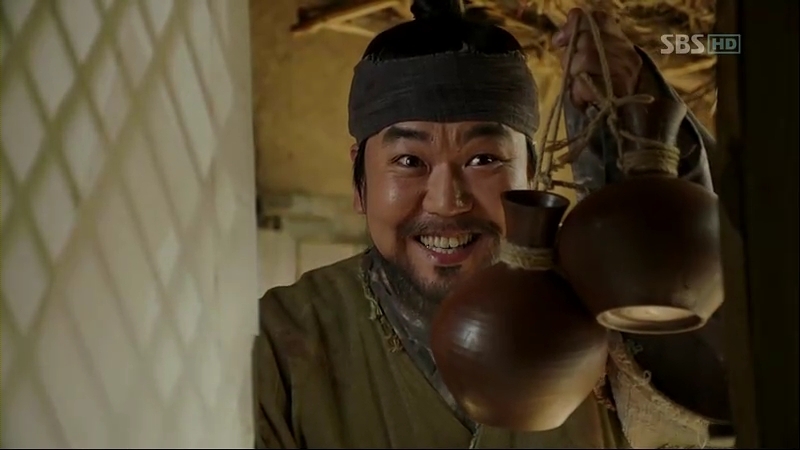 Before he could take any action, Ga Ri-On comes over, bearing some drinks for a housewarming party. They drink together and Chae-Yoon starts to ask why Ri-On was giving all those drugs to So-Yi. Ri-On pities her and he knows how hard it is to be living while blaming himself for being alive all the time. Suddenly, Chae-Yoon sees something on Ri-On’s nails: the yellow powder that he put on the drawer to find the person who searched through his room. Minister Jo also confirms his suspicion about the knife. 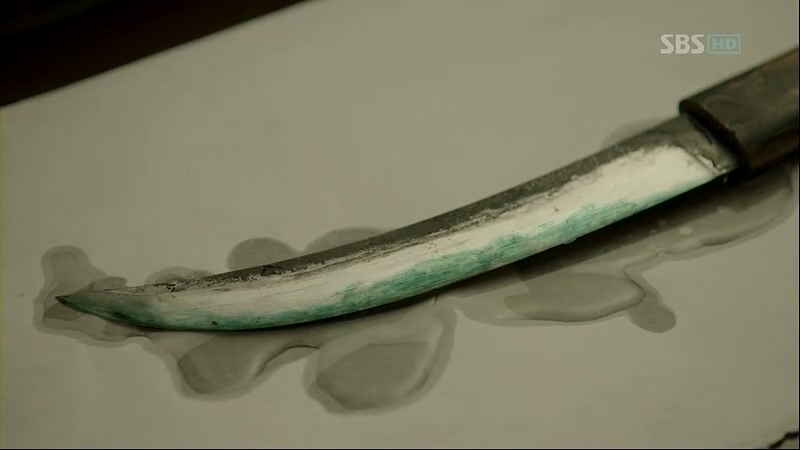 He pours some vinegar onto it and some parts turn green, indicating the presence of dried pig’s blood. He now knows that the knife belongs to a butcher and there’s only one butcher in the city. Park Po comes to Chae-Yoon’s house to report about the latest news. Chae-Yoon quickly grasps the meaning behind it and dashes off to meet Ga Ri-On, only to be late by mere seconds. Minister Jo’s assistant also comes to find him but unsuccessful. Minister Jo and his guards are quick enough on their horses to catch Ga Ri-On, who’s on his way to fetch a cow. Without further explanation, the guards surround him and hit him. He tries to get an explanation but fails. Chae-Yoon also arrives at the scene and witnesses it. Unable to take any beatings anymore, Ri-On snags a sword from one of the guards and run away. 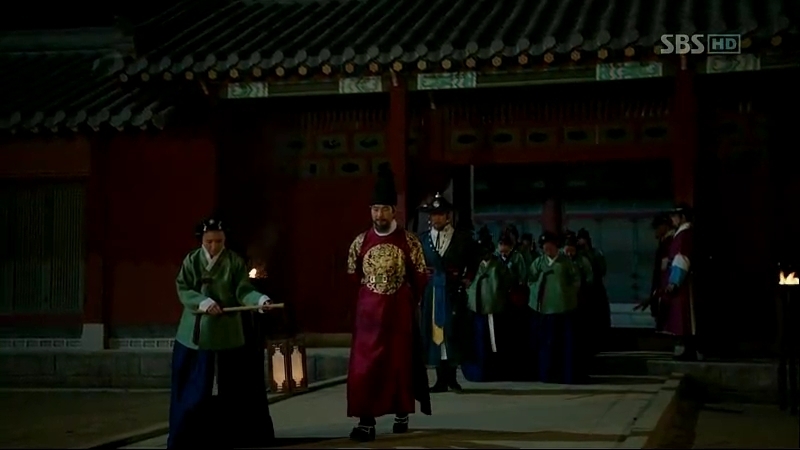 Chae-Yoon and the guards follow after him. He manages to hide from the guards but not from Chae-Yoon. Ri-On is pinned down on the ground, a dagger held on his neck. Chae-Yoon begins asking him about his trip to Scholar Nam’s house and why he searched through his room. 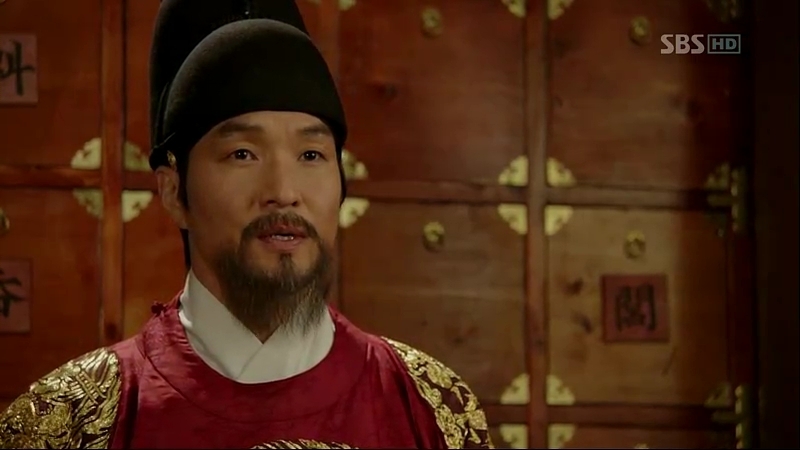 He explains himself, and he entered Chae-Yoon’s room under Moo-Hyul’s order. Chae-Yoon asks why Ga Ri-On didn’t tell the truth or explain himself to the guards before, but Ri-On knows lowly slave like won’t be given any chance to utter a single word once he’ taken into custody. He’s like a fly, whose life has no value. Chae-Yoon explodes, saying that there’s nothing such as worthless of low lives. He will save him if he’s really innocent. 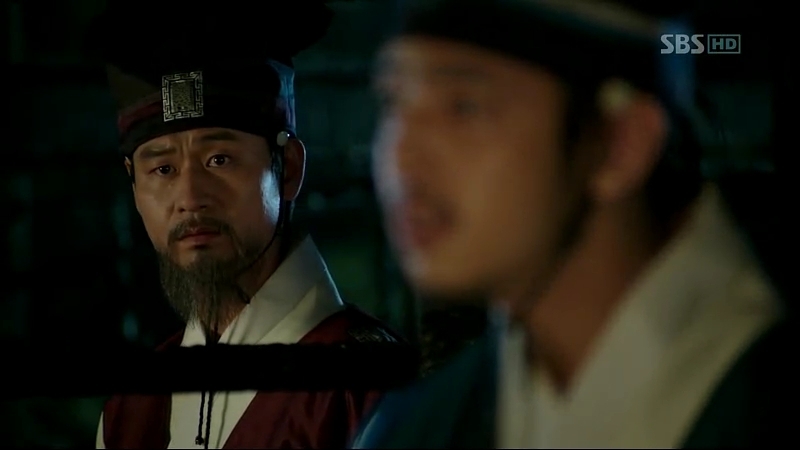 Before he could do anything, the guards discover Ga Ri-On’s whereabouts. To avoid Chae-Yoon being associated with him, he acts like he wants to escape and he’s beaten badly by the guards. Chae-Yoon witnesses it, unable to do anything. Sejong receives the news about Ga Ri-On’s arrest; almost the same time as an unconscious Ga Ri-On is being carried away by the guards. To be honest, I actually cried when I watched the scene where Sejong started to tell Seong Sam-Moon and Park Paeng-Nyeon about his project. The way he described his dream to improve his people’s lives just moved me into tears and made me realize how brilliant Sejong was as a king at that time. If not because of him, Korea might still be using Chinese characters nowadays, and the commoners might never be able to read or write. However, although he’s the most powerful man in Joseon, where he could just enforce the new language much fuss, he’s a king that has his people close to his heart and chooses to do it carefully, one step at a time. He knows that the scholars are going to oppose it, as they are being taught using Chinese characters since their births, but still, he doesn’t back off easily. These young scholars, initially opposing his idea, couldn’t help but feeling touched with the King’s sincerity to change the lives of his people. *sniff* Although I’m not a Korean, I still feel proud of King Sejong. Say hello to the new guy in the amnesiac circle: Ga Ri-On. I totally love his bright smile whenever he’s on screen, but he does have another side of him which hides his own past. He’s revealing his past bit by bit, recalling that he once experienced the same problem as So-Yi. The treatment towards a slave like him is so severe and I hate to see him, and in fact, every slave, to be treated like a worthless thing. Hoping for the best for him and i want that smile to return. I can’t help but wonder at the fact that the main characters didn’t have nice memory of their youths or childhood. The dark memories are still haunting them and shape their characters as they are today. Maybe their twisted fate are somehow the reason why the current events are taking place, aiming to redeem what they had once lost. Nevertheless, Ga Ri-On should be welcomed into the group of people with amnesia: Sejong, Chae-Yoon, and So-Yi. thanks!! can’t wait to read your ep 10… dun dun dun!! !